Gae Polisner has done it again! (By “it,” I mean she’s written another deeply emotional, tear-inducing, beautiful novel). 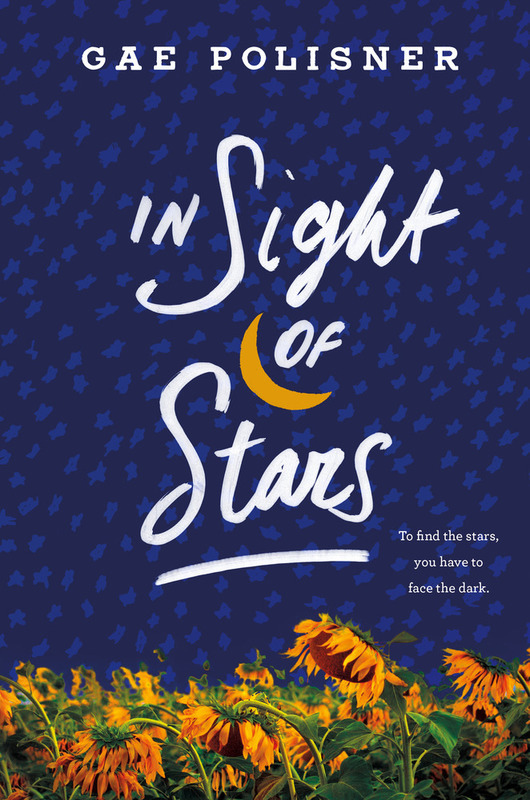 IN SIGHT OF STARS tells the story of seventeen-year-old Klee (pronounced Clay), who has had a pretty terrible year. When his father dies suddenly, Klee’s world begins to crumble. Klee and his father had a very special bond–he was his friend and mentor. After his death, Klee and his mother move out of NYC and into a house in the suburbs, where Klee constantly feels out of place. Enter: Sarah Wood. When Klee meets Sarah, his life starts to steady. Sarah gives him a sense of belonging that he hasn’t felt since his dad died. He begins to feel okay again . . . until a moment of betrayal shatters his universe a second time and he ends up in a psychiatric hospital. Told in alternating timelines, the story both leads us to the main event and walks us through Klee’s recovery from it. Polisner’s novel is nuanced and compassionate and she gracefully captures the complicated time between being a child and being an adult. Klee is a complex, but sympathetic character whose experiences are simultaneously unique and relatable. Perfect for fans of Kathleen Glasgow’s GIRL IN PIECES, Emery Lord’s WHEN WE COLLIDED, and Jandy Nelson’s I’LL GIVE YOU THE SUN, IN SIGHT OF STARS gracefully tackles themes of mental illness, therapy, suicide, teen love, and parent-child relationships.